Judge´s winners for the 1st 12th Precinct Christmas fanfic contest announced!!! We already announced the winners of the public vote, but now it is time to announce the winners of the judge's vote for our 1st ever 12th Precinct Christmas fanfiction contest! Also the four judges will receive a diploma for sharing their expertise on the entries. 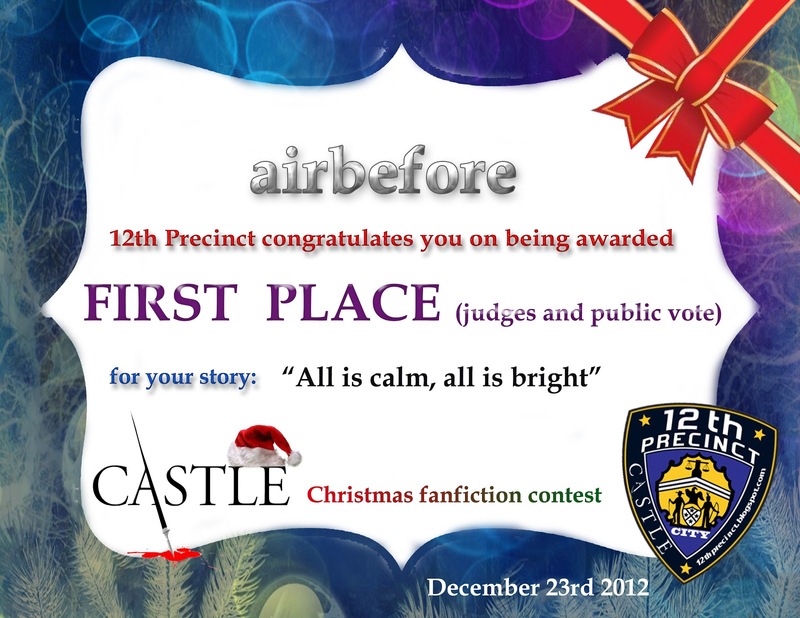 On the podium in third place is Polly Lynn with her story "Christmas: impossible"
We hope to see you, the authors of the other entries and hopefully new authors back soon for the very first 12th Precinct Castle Valentine´s day FanFic Competition! We hope we will see you back on our site, on twitter and for the next competition!